Ford Motor Company has been forced to stop production of the F-150, F-250 and F-350 due to a shortage of chassis components after a key supplier had a massive factory fire. The Ford F-150 and the entire Super Duty lineup have chassis components made from stamped magnesium. Those unique metal components are provided by Meridian Magnesium Products in Eaton Rapids, Michigan, but on May 2nd, Meridian’s facility caught fire. Magnesium is incredibly flammable in the proper conditions and the factory fire provided those conditions – making the fire hard to contain. By the time the fire was extinguished, Meridian’s facility was significantly damaged, preventing the company from stamping any new chassis components for the Ford F-Series lineup. While the Ford truck factories around the country had an inventory of these parts, the Kansas City and Dearborn plants combine to make more than 2,000 F-150 pickups each day, so it didn’t take long for that inventory to run out. The Kansas City plant stopped production earlier this week followed by the Kentucky Super Duty line and yesterday, production stopped at the Dearborn truck plant near Detroit. This means that F-150 production has completely stopped, but there are still Super Duty models being built in Ohio. The Avon Lake, Ohio plant makes commercial grade trucks, including the “chassis cab” F-350, F-450 and F-550, along with the big F-650 and F-750 heavy duty trucks. 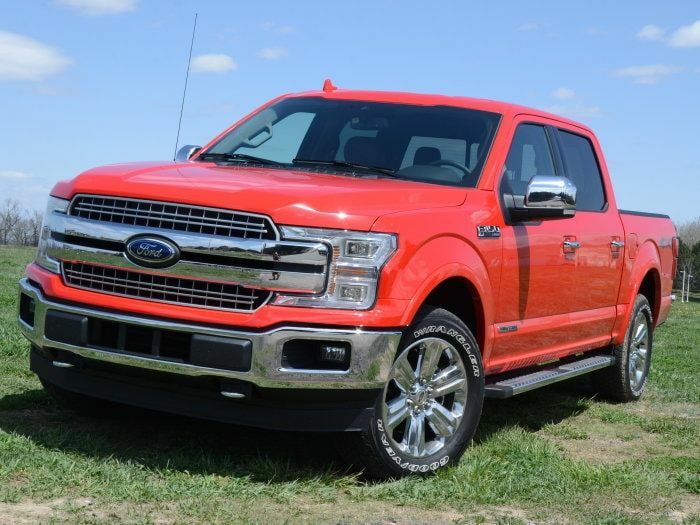 Since there trucks don’t have the same production volume as the more popular consumer models including the F-150, F-250 and F-350, the Ohio plant will be able to go the longest on the inventory of parts on hand. However, the bestselling examples of the Ford F-Series, including the F-150, are not being built right now. Reports from around the industry suggest that earlier this week, Ford had about 84 days’ worth of F-Series inventory on hand. We don’t know what the breakdown by model is for that number, but based on the current average sales flow – dealers around the country should be set for at least two months. Of course, that doesn’t include custom orders, so any Ford truck ordered right now will be delayed for an undetermined amount of time. While dealers have plenty of trucks on hand right now, including a wide variety of F-150 models, it won’t take long for the supply of the bestselling vehicle in America to run low. It should be noted that Meridian is looking for a new facility to set up stamping operations, but that takes time and until the company produces more chassis components, Ford F-Series production is halted. Ford is not the only company affected, as Meridian also supplies components to FCA and General Motors, but so far, neither of those companies have issued a statement on how this impacts their production plans. Why doesn’t ford and the other companies simply go and buy magnesium from another magnesium company? Meridian can’t be the only supplier in the entire country can they? Seems like a simple solution.